Is flexibility the key to a smart future? The aerospace sector is, at last, beginning to adopt automation and imaging technologies to manufacture commercial and military aircraft. The reasons for the uptake are simple – they’re financial. But the challenges of retro-fitting such systems into any facility are many, and one on the scale of an aircraft component manufacturing site more so. Aerospace has traditionally shunned automated manufacturing, partially out of the low volumes being shipped, but also because there is a high cost to getting it wrong and, while a pool of expert builders are expensive, they are also tried and tested by the industry. With very few exceptions (Apple being one), there are few companies (or industries for that matter) that wouldn’t be envious of the aerospace sector’s two leading players, Airbus and Boeing. Boeing’s quarterly statements, for example, show the company has nearly 5,700 commercial aircraft on order, giving it a $472 billion backlog. Similarly, in its H1 2016 statements, Airbus reported that its order book value totalled €978 billion. But these two companies’ statements also reveal an issue. In total, the manufacturer shipped 762 commercial aircraft last year, and increased its shipments year on year – it shipped 723 in 2014, 648 in 2013 and 601 in 2012. 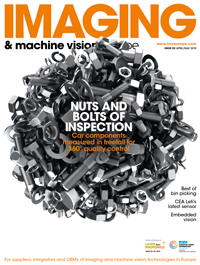 Indeed, both aircraft manufacturers, which have not followed the same rate of adoption of automation and machine vision systems as, say, the automotive sector, are planning ramp ups and looking to begin the significant adoption of machine vision to achieve this. As such, Boeing is reported to be planning investments worth more than $1 billion over the next two-to-three years in automation systems to boost production. It has also partnered with the University of Washington to develop advanced automation equipment. A major driver of this is likely to be to support its facility in North Charleston (South Carolina), which unlike its Washington State plant, benefits from no existing skilled workforce in the area. The traditional problems that a system integrator faces are lighting, modelling systems with multiple unknowns, communication systems, the need to minimise system downtime and, once it is up and running perfectly, the need to persuade the operators of its requirements. Based in the opposite corner of South Carolina, just a short (in US geographical terms) drive away from the new Boeing facility, is the systems integrator Integro Technologies. The company has been developing machine vision systems for legacy manufacturing equipment across a broad range of sectors for more than a decade. According to its senior sales engineer, Starke Farley, lighting is one of the major challenges faced in any factory installation of an imaging system – especially if there is a skylight or roll-up door, which lets in ambient sunlight and renders bandpass filters useless. After this, one of the biggest problems encountered is through unspecified elements in legacy equipment. ‘When you’re installing into other people’s equipment, they send you the design [in either 2D or 3D]. And if, for some reason, there was a change to the machine after the design, then your camera [or] your light… won’t fit and we have to modify it on the fly. The company will, almost universally, develop the systems at their factory and present it to the customer as both a designer view and as a modelled factory acceptance test. But the scale of the products being manufactured add another level of complication. Aerospace is a unique sector. The size of the aircraft being produced is on the mind-blowing scale. At the extremes, an Airbus A380 is more than 72 metres in length with a wingspan of more than 79 metres. Its height is 24 metres. This means a flexible system is needed, with robots and imaging systems moving along gantries, often performing multiple functions. Already Comau has developed robots capable of being mounted onto a diverse range of platforms, from gantries to self-guided cars. One of the big pressures for automation comes from the mechanical fasting process. According to JR Automation’s David MacPhail, the major spend on automation projects in the aerospace sector is specifically for ‘drilling and filling.’ MacPhail cites data from aerospace consultant Nick Bullen, who suggests that mechanical fasteners account for 60 per cent of the cost of airframe assembly, 80 per cent of lost-time injuries and 80 per cent of defects. Part of the reason for this cost is the industry’s use of composite materials, which cuts weight and saves fuel, but also creates a risk of fibres pulling and tearing. And problems are caused when debris from the drilling process ends up between the composite skin and the metal substructure. The two pieces must then be separated and inspected, which is costly and time consuming. Among the industry’s most advanced automated systems are those from Electroimpact, an aviation automation firm based in Washington State, and with development centres in the UK and Australia. 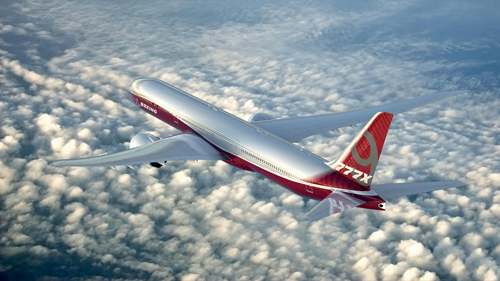 The company has worked with both Airbus and Boeing, including most recently on Boeing’s 777x wings. Electroimpact’s newest automation products are the E7000 / E7100 riveting machines. While the larger of the two is 11.5 metres wide and made to a custom length – making it a challenge simply to fit into an existing facility – the makers boast of the most efficient use of factory floor space. For inspection, the system uses a Keyence IG-28 laser array to automate the riveting process, running at rates of up to 20 rivets per minute, which Electroimpact claim is the world’s fastest. The company is also researching systems to identify and rectify issues in real time. These would use machine vision, infrared sensing and laser projection. The adoption of a flexible, moving inspection system brings with it new challenges, especially when it comes to lighting. How do you illuminate the key elements with a high contrast if the position of the robot and camera moves? The industry’s shift from CCD to CMOS will prove a key element here. Arnaud Destruels, from Sony’s Image Sensing Solutions division, commented that developing systems with both speed and accuracy requires a holistic design approach, taking several factors into account. According to Destruels, some of the main challenges come when parts of the sub-assembly being captured lie in the shadow of larger components, or when the bright lighting that enables images of parts to be captured effectively when they have low contrast against the substrate, leads to glare in other parts of the image. And for a part as large as a wing, this would also be impossible. However, he continued ‘The ability of CMOS imagers to deliver high frame rates means it is possible to overcome this problem and get illumination consistency across the board using wide dynamic range.’ Here multiple shots are taken in sequence, each with a different exposure time. By combining these, it’s possible to produce a composite photograph that provides a much higher bit depth than a single image, correcting shading on parts of the image without the loss of effective bit depth that would be seen with a single-exposure. One interesting way of solving the problem is instead to go smaller. Boeing, for example, has partnered with the University of Washington to look at ways to automate the aircraft build. However, as machine-vision equipped robots become truly mobile – be it inside the wing, or on a self-driving vehicle – the need for strong communications strengthens further. But here wireless standards will be required to communicate with the network. Similarly, the rise of Industry 4.0 means that these vision-based automated systems will be joined by Internet of Things connected devices, meaning factories could, for example, eventually see smart rivets that know when they’ve been installed correctly. With IoT technologies complementing and working alongside machine vision, system integrators will be able to give enhanced analysis and greater accuracy to their customers – the incorporation of smart components into the manufacturing process will also mean the installation of vision-based automation systems on the factory floor will become simpler and less disruptive for the integrator and end customer.